Tracy Grimshaw posted two makeup-free selfies. 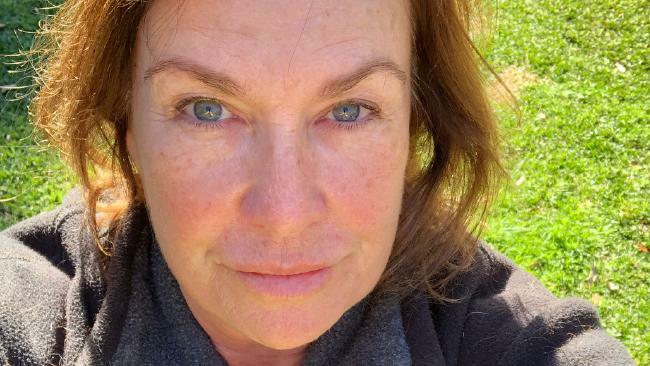 TRACY Grimshaw has posted a makeup-free selfie on Instagram to thwart paparazzo's who were trying to capture unflattering photos of her. The A Current Affair host shared two photos with her fans and accompanied them with a tongue in cheek caption. "Paps are in my street again so here's a free shot of what they're after: without make up or hair done, looking unkempt and flushed from working, preferably with #restingbitchface, work clothes covered in furkid hair, and maybe some horse snot thrown in. "Now the mags and websites don't have to pay to have me stalked by strange men to get this pic. I'll buy a selfie stick so next time I can give you full length, because they like those. Especially from behind. Leave it with me." Grimshaw's fans praised her post and congratulated the TV presenter for standing up to the paparazzi. "Great response to their presence … a close up without a telephoto lens. You go girl!" wrote one person. "Good on you! What a shame you can't just be you and have some respect and privacy!" another fan wrote. Grimshaw was recently nominated for a Gold Logie but lost out to Family Feud host, Grant Denyer. Grimshaw isn't the only Aussie star who has posted a makeup-free selfie lately. 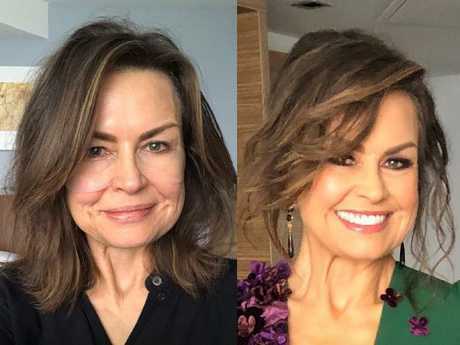 The Project's Lisa Wilkinson received more than 20,000 likes when she posted a before and after photo on Instagram after the Logies. Lisa Wilkinson captioned this photo with: Like I said, smoke and mirrors.